It’s the last Thursday in December, which means it’s time for your free January 2018 desktop wallpapers! I’ve been spending a lot of time in doctor waiting rooms the past few months (my husband, Spence, has been dealing with hip + hernia issues for over a year now), so I always take my iPad with me to doodle. This month’s wallpaper was entirely created in Procreate, with just the dates added in using Photoshop and my font, Miss Magnolia. The glitter you see is from my Procreate Metallic Texture Kit, available here. For the dates, ‘R’ is for Thursday, to distinguish it from a same-sized Tuesday ‘T’ at a glance. The download includes the January 2018 desktop wallpapers in two common resolutions: 1280x1024px and 1920x1080px, with and without dates. I’ve left the year off of the ‘no-dates’ versions, so you can use it for any January in the future, too! There’s a new change coming to Every-Tuesday for 2018, so be sure to read below to stay in the loop/get the head’s up! New Year’s Eve is less than a week away! To celebrate, I thought I’d cheers you Every-Tuesday style with a couple of cocktail glasses created in Adobe Illustrator. This tutorial is very doable if you’re a beginner, but the pace is a little quick, so just a head’s up. We’ll be in Illustrator CC for this one since we’re using the live corners option for smooth contours on our glasses. If you’re not using CC, this can still be done, but you’ll want to visit your appearance palette > stylize > round corners. Ready to get started? Full video + all the colors used are below! Before we hit the end of the year, I was brainstorming ideas for winter themed illustrations, and mittens seemed perfect. I love how easy they are to make your own: design/decoration, shape and color! In this beginner-friendly (but some prior knowledge will be helpful) tutorial, we create a pair of cute winter mittens in Adobe Illustrator. Follow exactly or edit them to make em your own! Illustrator CC is recommended since we make use of some new features to speed up the workflow, but the result is still achievable in older versions. Read on to see how! Happy Thursday! Today I’m excited to bring you the holiday hand lettering projects series showcase! This showcase includes community artwork that was created during our holiday hand lettering series. Check out those tutorials here 😉 While the series has now concluded, I hope the tutorials and the community artwork below inspires you for your own holiday lettering now and in the future. This artwork can be applied to greeting cards, gift tags, gift wrap, holiday stationery and more. For more on the individual artists featured below, click on their instagram handles to show them some extra love 😉 Let’s check these out! Welcome to week 6 of holiday hand lettering projects! If you missed the last five weeks, scroll below to click on links to all of them! 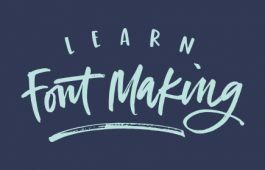 This 6 week lettering tutorial series is wrapping up this week! 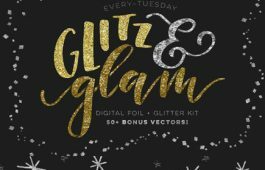 The goal of the series was to gain new lettering tricks, learn about lettering supplies you might not have used before and create something you can use/gift right away. Each week we built on skills from the previous weeks, so if you need a refresher, be sure to rewatch any of the prior videos. This week, we’re creating watercolor JOY lettering, surrounded by seasonal branches and finished with gold and silver details! Read on for the step-by-steps! Welcome to week 5 of holiday hand lettering projects! If you missed the last four weeks, you can catch up here, here, here and here 😉 This is a 6 week lettering tutorial series with the goal of gaining new lettering tricks, learning about lettering supplies you might not have used before and creating something you can use/gift right away. Every week we build on the skills from the previous week, so if you need a refresher, be sure to rewatch any of the previous videos. Check back every Tuesday from now until December 12th for a new holiday themed lettering project! This week, we’ll create metallic watercolor lettering surrounded by strings of lights! Read on to see how! It’s the last Thursday in November, which means it’s time for your free December 2017 desktop wallpapers! This month, I jumped back on the iPad to create a winter themed lettering doodle. I first sketched the lettering on paper, took a photo of it, then used it as a template in Procreate. The foil textures (gold lettering, silver snow) are from my Procreate Metallic Texture Kit and the entire wallpaper was illustrated/lettered with default Procreate brushes. The final illustration was exported as a PSD into Photoshop, where I added the dates using my font, Miss Magnolia. ‘R’ is for Thursday, to distinguish it from a same-sized Tuesday ‘T’ at a glance. The download includes the December 2017 desktop wallpapers in two common resolutions: 1280x1024px and 1920x1080px, with and without dates. I’ve left the year off of the ‘no-dates’ versions, so you can use it for any December in the future, too! Welcome to week 4 of holiday hand lettering projects! If you missed the last three weeks, you can catch up here and here and here 😉 This is a 6 week lettering tutorial series with the goal of gaining new lettering tricks, learning about lettering supplies you might not have used before and creating something you can use/gift right away. Every week we build on the skills from the previous week, so if you need a refresher, be sure to rewatch any of the previous videos. Check back every Tuesday from now until December 12th for a new holiday themed lettering project! This week, we’ll create 3D block lettering embellished with simple decorative flourishes. Read on to see how! Welcome to week 3 of holiday hand lettering projects! If you missed the last two weeks, you can catch up here and here 😉 This is a 6 week lettering tutorial series with the goal of gaining new lettering tricks, learning about lettering supplies you might not have used before and creating something you can use/gift right away. Every week we build on the skills from the previous week, so if you need a refresher, be sure to rewatch any of the previous videos. Check back every Tuesday from now until December 12th for a new holiday themed lettering project! This week, we’ll create decorative lettering by utilizing gel pens on top of black lettering that has a 3D feel to it. Read on to see how! Welcome to the first week of holiday hand lettering projects! This is a new tutorial series spanning 6 weeks, starting today. 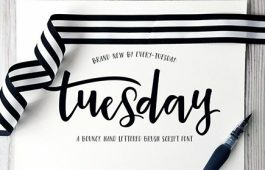 Every Tuesday, we’ll create a new holiday-inspired lettering project you can then use on your holiday stationery (like gift tags, greeting cards, homemade ornaments, etc.). 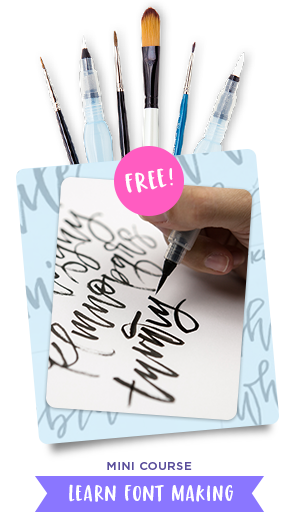 The goal of this series is to gain some new lettering tricks, learn about lettering supplies you might not have used before and to create something you can use/gift right away. Since we’re starting in early November, you’ll have plenty of time to practice and prepare for December celebrations. I also have another surprise that comes with participating in these weekly projects below!